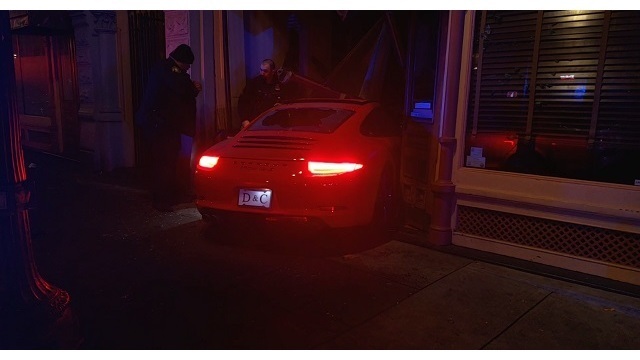 PORTLAND, Ore. (KOIN) — A man police said was driving drunk crashed his red Porsche into a building on Southeast Grand Ave. early Sunday morning. Police said Vasiliy Kutsar, 30, tried to run away from the scene of the crash but officers found him nearby. 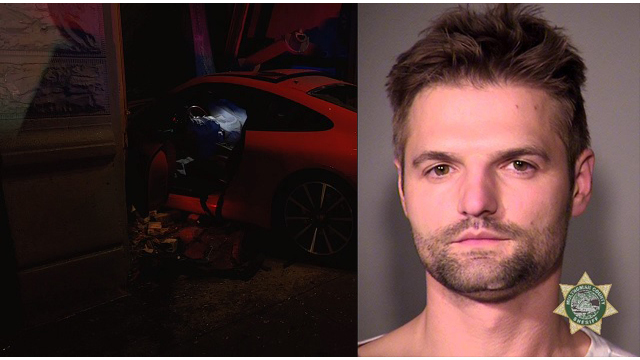 Kutsar was arrested on charges of driving under the influence, reckless driving, three counts of recklessly endangering another person and failure to perform the duties of a driver (hit and run).